That does make sense. What about the lower hull, did that all get repainted or just the outside roadwheels? Same for exhaust, did they remove the shields to paint underneath or just the outside? So far the kit hasn't been too bad to assembly. I have left out the tension bars as they are not necessary to build the kit as they add nothing for strength or viewing with the hatches closed. The barrel and tracks should arrive toward the end of the week. Hopefully start painting the following week. Well, the real tank was sprayed with the grills in place. Is the Vallejo Ral 8020 good for the 8020 scheme. Is there a better Vallejo or Tamiya mix option? If painting the 8020 scheme, when it comes to the intakes grill area, should I leave the pe off and paint the plastic in the area German yellow or maybe red and have just the pe in 8020 or attach the pe and paint it all 8020 and not worry about it? For a barrel, is which would be more appropriate or fit better aber 35L26N or RB 35B001? Other way around. I'm saying to use the "late" Feifels. The zero marking and grey barrel is ok? I suppose you mean the Tiger depicted in the book illustration number 1 ? This is a Company Meyer Tiger. The book author thinks these tanks were Dunkelgelb, but personally I think they were RAL 8020. However I have not proven this either way. The grey barrel is often seen on Tigers, replacement barrels arrived in this colour. The kit matches this tank almost perfectly if you use the one-drum Feifel filters. But the cable on the side of Academy's kit is not right for Early Tigers - compare to the diagram. Sounds great. I will look into the colors. Using kit 1348, for the one-drum Feifel filters you are saying use part D7/D10,D8/D9 and not D25/27,D26/28 correct? Can one leave the side tow cable off? Looking at the Oliver book, I am disappointed to see the diagram on page 50 (s.Pz.Abt. 501) has many errors. The correct numbering for these Tunisian Tigers was published two years ago, but the author seems to be drawing information from outdated sources instead. Nothing is glaringly wrong with the parts except for the tracks; they are the Late type. "S13" and "S11" of Das Reich had a special turret bin that only Das Reich used. It's not in the kit. "123" once again had a turret bin that's not in the kit. Also I think its digits were painted in white, but the decal sheet has yellow with black outlines. "217" was a Mid Tiger, the kit is an Early. "712" was an Initial Tiger, the kit is an Early. In other words: none of the decals suit the kit. Thanks David. So basically OOB would work minus the track replacement which I plan to do. Tigr in Focus has images of the tank in illustration 1 in the Oliver book. Haven't been able to get into the site to see. Did see star 35-900 had a similar scheme. The Tank Craft book is excellent. So far as I am aware the Italian Army did not have Tigers as Italy had surrendered by the time of the Italian campaign, and had been occupied by the Germans. It was the Italian Fascists who continued to fight along side the Germans. Mussolini was rescued by the Germans and put in charge of a puppet government in exile. They were loaned a Tiger. Or at least there's a photo of a Tiger with an Italian crew. Thanks for information all. I don't have a tank I want to model. I did see this review of a book and kinda like the gray/black barrel and no markings. Is that a real tank or just artwork? The Italain army tigers does seem interesting. What paint scheme/s did they use? Most googling points to Italian campaign not army. The kit markings don't exactly match the configuration of the kit. All if them are off in one way or another. The kit mixes early production features. Most of the features are well documented now so you figure out what you want and adjust the kit how you want. The kit dates back to the beginning of the century so it's nearly 20 years old. In 2002 it was great. Since then other companies have upped their game. I built it and played with it to get close to one of the Das Reich tanks as on the box top using photos. It's not exact as there were some things I felt would detract from a fun build. There's enough after market and references to tweak it any way. Just have to choose what you want to do. And that's the hard part. The best known Axis Tigers were the Italian and Hungarian loaners. The Hungarian ones were late Tigers and probably retained their German markings the only difference probably just being the crew's uniforms. Though I used artistic license and over painted the German crosses with Hungarian ones. Do you have a particular vehicle in mind you want to build? The markings are off in shape and color. RB model barrels are cheaper then Aber, but they're not for a specific kit, so you run the risk, that the barrel doesn't fit. If the Tamiya grills don't fit, Aber makes a separate set. A metal antenna, is a nice addition. Both Aber and RB model make these. 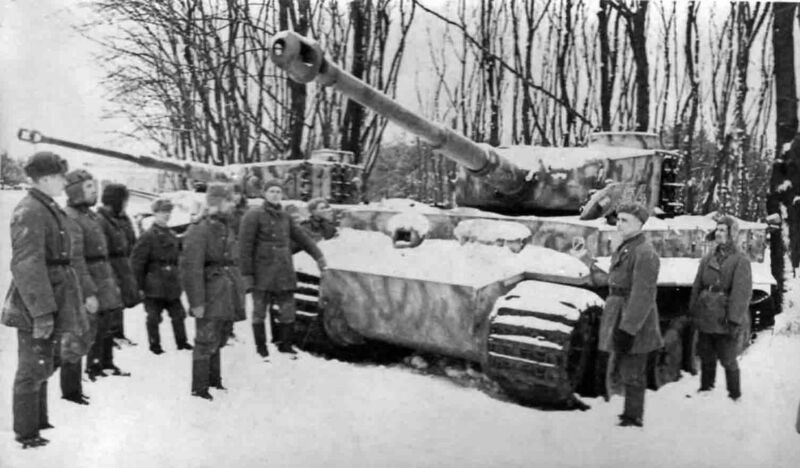 Early Tigers were only used by German units. Possible units are: s Pz Abt 502, 504, 505. Grossdeutschland and 2 SS Das Reich. These brands offer accurate decals. For a Tiger 1 this early in the war, the transport tracks would only be used if mounted on a railcar or about to embark/after disembarkation. While my review is of the Late variant, it might help answer some of your questions. I have Academy 13264 Tiger I early w/figures, my intent is to build this mostly out of the box and have a basic Tiger I when done. Two thing I want to change and it's probably just for change sake, the barrel I think I can get either the KWK.36/L56 Aber 35L76N or RB 35B001, is this correct? For the tracks AFV Club 35094 Early Hi tech or 35129 Transport tracks, is this correct and will they fit the Academy kit? I also happen to have the Tamiya PE grill set, will these fit? Does the kit decals/paint schemes work for the plastic provided? Any parts that should be left off and simple adds to make a scheme more correct? Is there any Allied or other Axis nation paint schemes that would work for this kit?